Another bonus about flying? I love how being on an airplane makes me feel so inspired. Something about being in the sky with virtually nothing to do or distract you from your thoughts is so peaceful, and really gives you so much time to just think about things and get inspired! 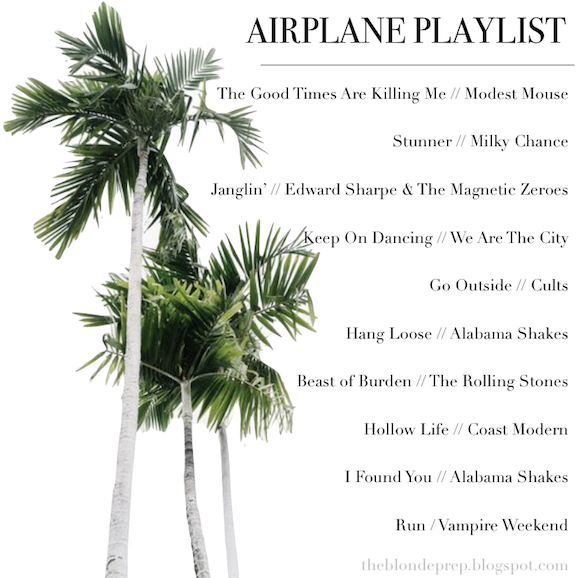 I created this playlist because I love listening to chill music on planes, but also kind of upbeat songs that get me excited for wherever I'm headed! You can listen to the whole playlist on my Spotify here. What are you listening to as of late? Have a great Monday! This is a great list! 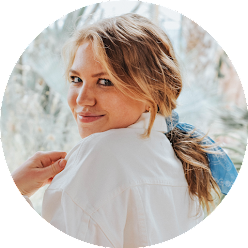 I've been looking for a new playlist to listen to this week at work (so jealous you're traveling). Have so much fun in NOLA! Don't forget to go to Cafe Du Monde for Beignets!